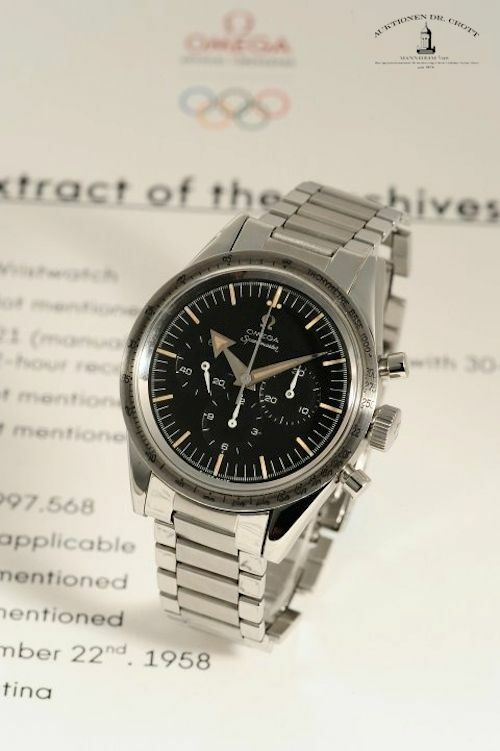 The first Speedmaster watch, the CK2915, is up for auction at Dr H Crott auctions on the 11th of May. Together with a lot of Patek Philippe and Rolex watches, they have this 1958 Speedy CK2915-2 listed in very nice condition. It has been serviced in 2011 at Omega in Switzerland, but they’ve managed to keep it as original as possible in my opinion. This particular Speedmaster was produced in 1958 by Lemania, which was owned by Omega at that time and were licensed to do so, and shipped to Argentina. The picture above shows the beautiful symmetrical case (39mm) with straight lugs and the lack of crown guards that they’ve added to the Speedy a few years later (starting with reference 105.012). Auction house Dr.H. Crott estimated 45.000 – 65.000 Euro ($61.1K – $92.2K USD) for this watch, which might be a bit enthusiastic given the fact that it has been serviced after all. But let’s wait and see of course. The Speedmaster CK2915-2 has, like all pre 198 models, a caliber 321 chronograph movement with column wheel which was replaced by caliber 861 later on. 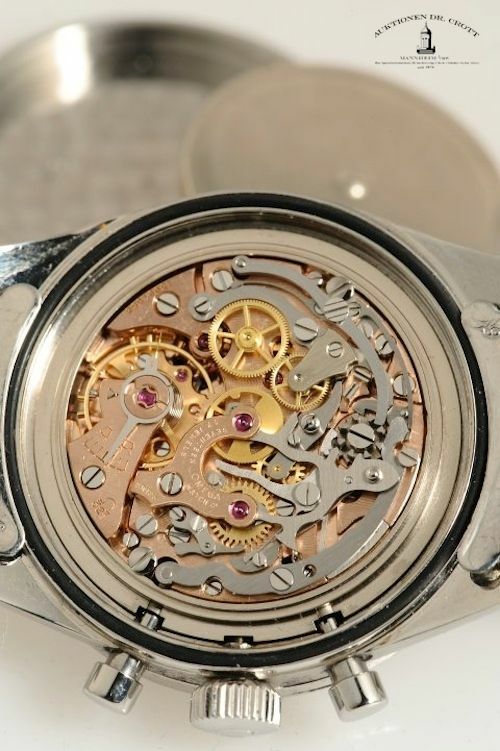 Omega still uses this movement (modified later on with one extra jewel, calling it caliber 1861) for their current Speedmaster Professional “Moonwatch” references. A beautiful watch which will certainly get a lot of attention during the auction and if there’s an acceptable reserve, it will fetch a high price. For more information on the upcoming Dr H Crott auction, click here. 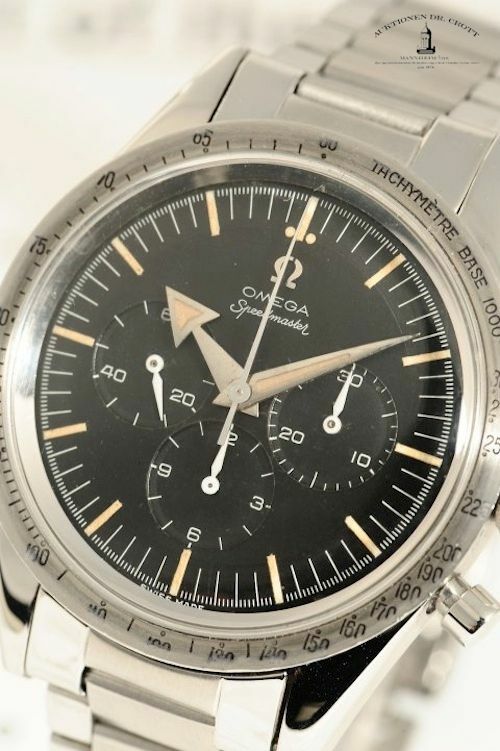 This Speedmaster CK2915 ‘Broad Arrow’ is lot 34551 and can be found here directly.